On Thursday July 9th, 2015 the John T. Brush staircase was restored & reopened to the public. 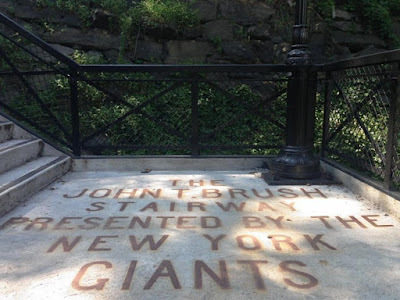 It was 102 years ago that the New York Giants baseball club gifted the City of New York with the John T. Brush Staircase, named in honor of the clubs owner who had just passed away. The staircase let fans in Washington Heights, walk over to Edgecomb Avenue (@158th St). There they walked down the stairs, leading to what is now Harlem River Drive Way, (one time referred to as the speedway). This then led to ticket booths, behind home plate, entering in the upper level of the Polo Grounds, home of the New York baseball Giants. Fans could get a good view of the playing field from the staircase as well. 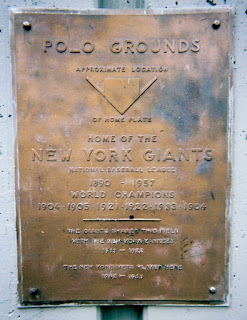 The Polo Grounds was at one time a sports mecca, home to the Giants (1890-1957) the New York Mets (1962-1963) The AL New York Club (1913-1923) the New York Football Giants (1925-1955) & the New York Titans / Jets (1960-1963). 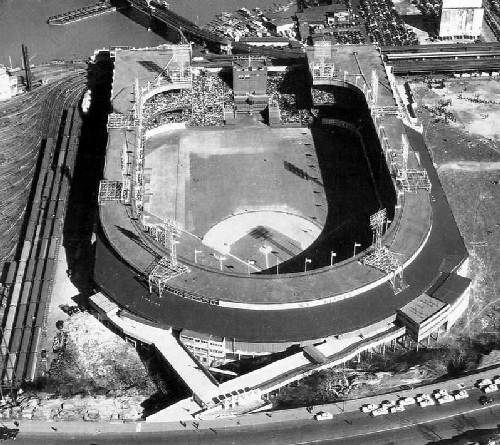 After the Baseball Giants left in 1957 , the ballpark was vacant until the New York Mets played their first two seasons there; 1962-1963. In 1964, the Polo Grounds were demolished by a wrecking ball so the City could put up apartment buildings, the staircase was left forgotten to rott away under the weeds. The concrete cracked but the giant steel letters remained in tact, not even vandals could remove them from their base. The staircase became unsafe to walk on & was eventually sealed off with a fence. 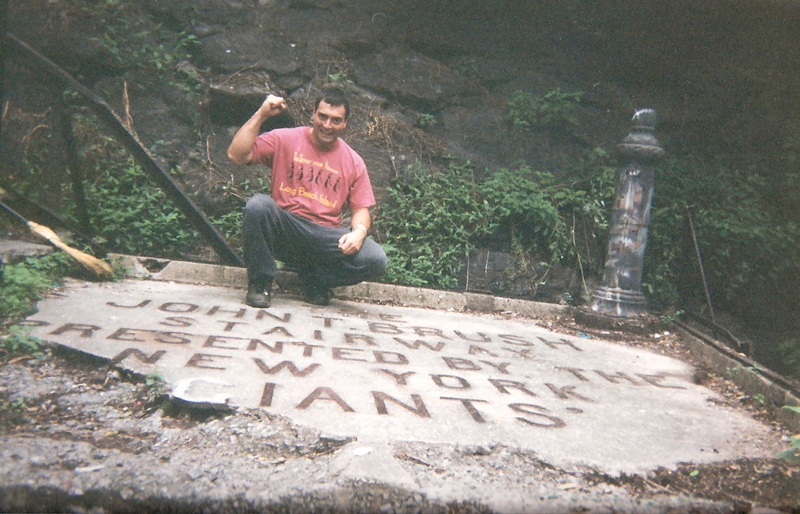 centerfieldmaz was made aware of the site in 2001, by his cousin Dan, who once took an old subway walking tour of the area. My friend Dennis & I tracked it down & explored the area taking pictures with throw away cameras. 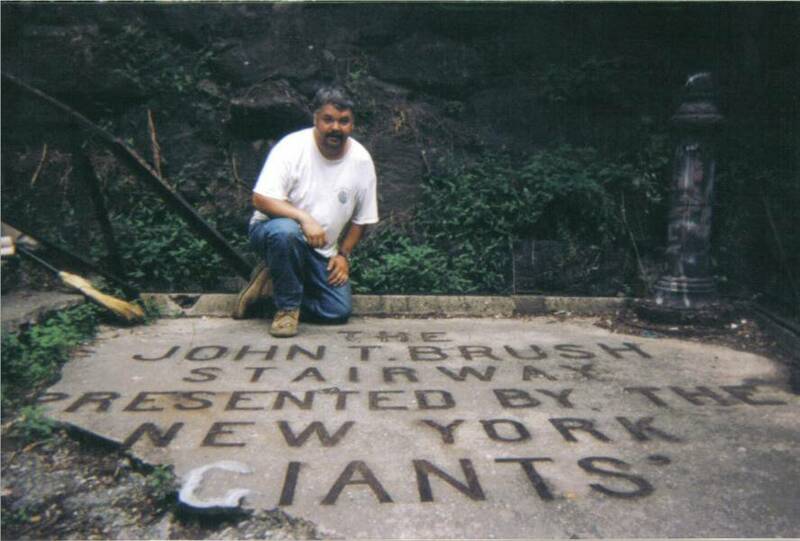 Eventually I remember an article by veteran NY sportswriter; Vic Ziegel of the Daily News ( also an old New York Giants fan) writing a piece about the staircase. The Daily News eventually began a crusade to have the City of New York restore the staircase. The New York Mets, San Francisco Giants, the A.L. New York club, the New York Football Giants & New York Jets, as well as MLB all jumped on board & donated up to $550,000 of the $1.4 million project. The project took over seven years to complete. On Thursday, a small group of NY politicians, local representatives, a rep for the San Francisco Giants & former Met; Lee Mazzilli were on hand for the dedication. Mazzilli said "There's one thing New Yorkers do not have & that is lack of pride. 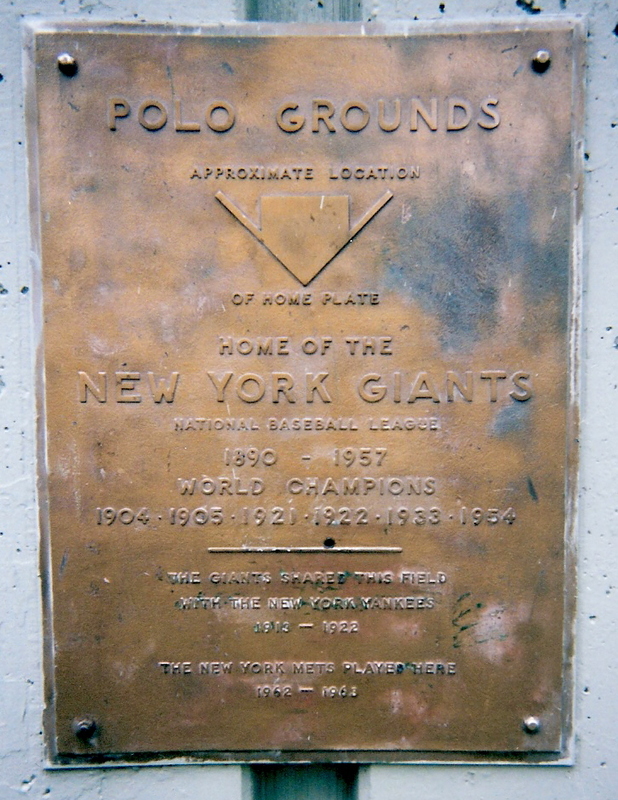 The Polo Grounds was part of baseball history, but more importantly people forget that right here where we stand was part of American History". Former Mets Manager Joe Torre, now chief Baseball Officer at MLB said: "Major League Baseball is proud to support this project to preserve the legacy of the historic Polo Grounds. Some of my fondest memories as a young fan were made watching Willie Mays patrolling center field. 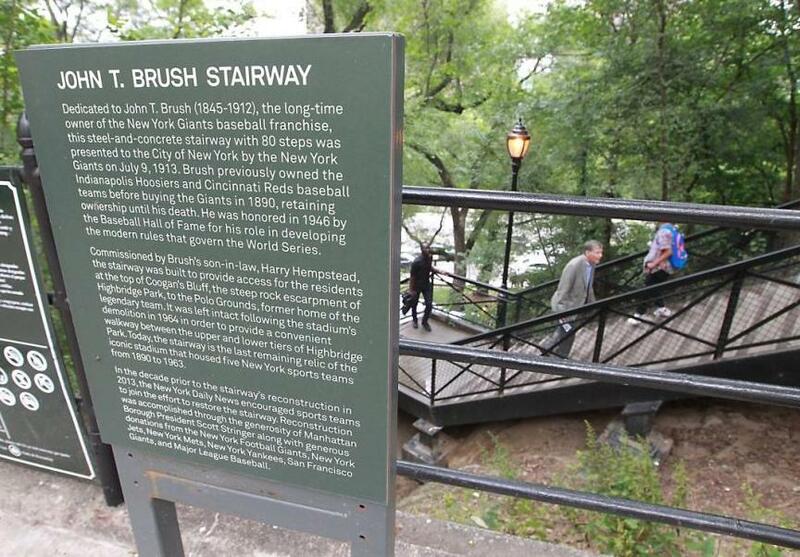 I am so pleased that this important part of New York baseball history is being preserved in a meaningful way." 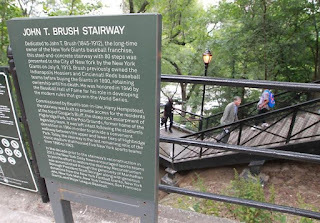 Mets Chief Operating Officer Jeff Wilpon said: "The Brush Stairway at the old Polo Grounds is historic ground, and we are pleased that it has been restored. We are proud to play a role in this restoration that helps memorialize the different teams that played there."